The Fabia Vase by Fink Living features an expertly crafted, silver ceramic form with moulded detailing. The organic shape can be paired with the larger size vase or make a statement on it's own. 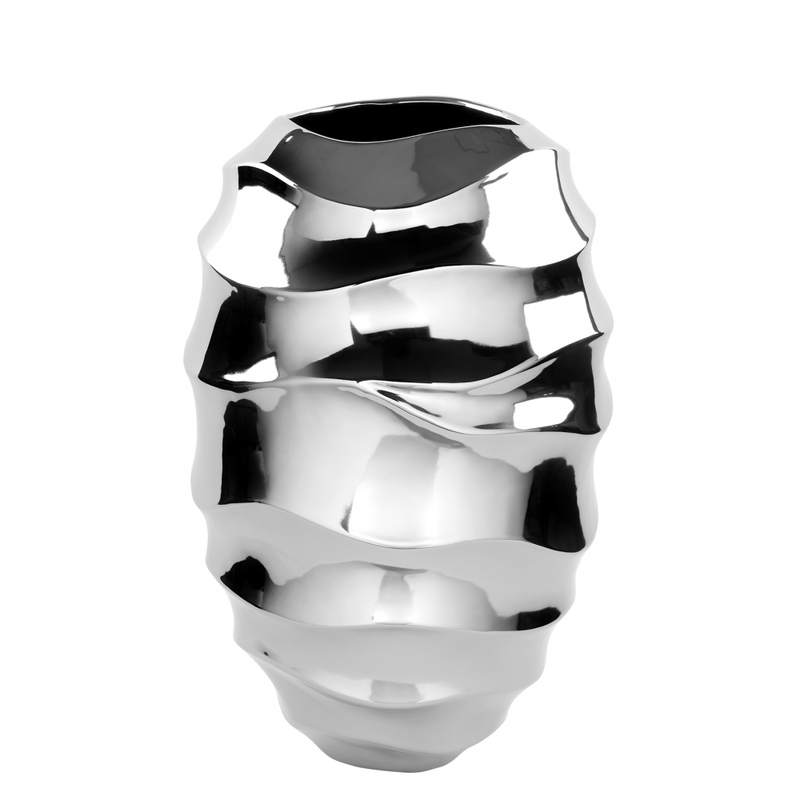 This contemporary vase will add a touch of luxury to any hallway or living space. A modern and minimalistic design, Fabia looks beautiful filled with an assortment of greenery, foliage and flowers.